Pula Fortification Tour originated as an idea of several enthusiasts and their great desire to preserve and revive the stories and places from the time when Pula was the main naval port of the Austro-Hungarian Empire. Shipyard Uljanik was created during this period, there were over 100 boats anchored in the port, and the city was guarded by fifty mighty fortresses and more than 300 various artillery posts. The trip includes a tour of the forts Grosso, Valmaggiore, Zonchi and Punta Christo by a military truck and on foot through the pine forest with expert guidance of a guide and historian. 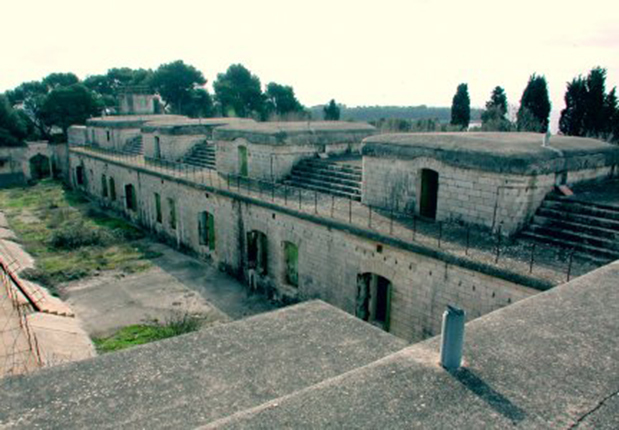 It consists of a ride in a military truck from the parking lot at the railway station to the fort Grosso (Štinjan) during which the guide introduces the visitors to the period of Pula up to the arrival of Austrian rule, and the beginnings of the development of the naval port of Pula. Then a walk through to the coastal fortifications Valmaggiore, bay Zonchi and the eponymous fort, which participated in the sinking of the French submarine “Curie”. Visitors will have the opportunity to hear the interesting story of “Curie”, which has after overhaul been included in the fleet of the Austro-Hungarian Navy under the command of Georg von Trapp on whom the movie “The Sound of Music” was based. After boarding the truck the tour head for the fortress Punta Cristo ,which was the biggest and strongest fortress of the K.u.K. fortified artillery. For lunch we have a military lunch (minestrone) in original military rations and drinks or an organized lunch in a restaurant. Return is planned after 3.5 hours from the start of the program, back to the parking lot of the railway station.